While helping a friend dealing with a professional crossroad, I started wondering which universities are considered to be the top ones nowadays. I had ran some searches about this matter some time ago, helping one of my brothers to select a school where to apply for the ERASMUS programme, but this was back in 2006, and I was hoping more reliable data would exist by now (ie, from independent parties, and using sensible criteria). Although I still don’t blindly trust the numbers I’ve found (University of Porto isn’t on the list, so it can’t be right, can it? ;) they were the most convincing ones I came upon. They do try to explain which was the used criteria, which is a good thing. I finally found some time to install Ubuntu on my Eee pc 901, and it’s a good thing I’ve waited for the holidays (if I can call them holidays — despite what some lady friends tell me, hunting for Christmas presents in shopping malls is hard work), because the entire process sure took a lot more time than I was initially expecting. Found out that noatime is actually a superset of nodiratime, so I only ended up adding the first one to fstab. I hadn’t fiddled with the kernel’s I/O scheduler before, so although I’ve seen a couple of recommendations towards using elevator=deadline as a kernel parameter, I’ve only understood it better by going through this other post. I’ve mounted /tmp as a memory filesystem, as instructed, but soon found it taking 500MB of memory (even though only 26MB where being effectively being used), which seemed more than reasonable, specially considering I’m not using a swap partition. So, what I did was to limit the size of /tmp using an extra parameter: tmpfs /tmp tmpfs defaults,noatime,mode=1777,size=250m 0 0. Got some insights on the use of tempfs on this article. So everything was going great… that is, until I tried to establish a connection to my wireless router at home. Network Manager refused to cooperate — it kept asking for authentication credentials, even though he already had the right ones — and I took a while to understand I was facing some sort of bug in NM, and not an incompatibility with the Eee hardware (at least, this is my theory for now). This seems to be reproducible with hidden WPA networks, like the one I had at home. I just ended up changing the router settings to broadcast the SSID, and all is working fine now. Still, this worries me, I wonder if I won’t have trouble connecting to eduroam networks — will have to try it. Btw, I have to say I now strongly agree that Network Manager badly needs a refresh feature. Another difficulty I add was finding a convenient way to quickly configure VGA output, as I frequently need to connect to a projector, either for classes or the occasional presentation. Again, this has nothing to do with the Eee 901 specifically, although the fact that it uses a 16:9 resolution does add a bit to the challenge. I ended up using LXRandR, that is provided by the Ubuntu repositories, but also found two other promising applications that do mostly the same: uRandR and aRandR. At this point, I realized I had very little space left on the 4GB SSD, as it was to be expect. I’ve done two things to get some space back: first, I’ve used this setting on synaptic packet manager: Settings -> Preferences -> Files -> Delete Downloaded Packages After Installation; second, there are loads of pre-installed documentation that typically never get used: /usr/share/doc told me what was taking too much space, and I got rid of some of these docs by using apt). I still have 1.1GB free now, which is quite reasonable, since I kept almost everything, including open-office, and installed texlive and several other smaller packages. I was back by Saturday 25th actually, but haven’t found the time to post about this until now. I must say I was impressed by how productive PLoP was for me. The entire writer’s workshops model is just great, but I agree with Rebecca Wirfs-Brock when she says they are hard work, and really depend on who is there — if we don’t fully read the other attendees papers before the workshop, there’s no way it’s going to work. We’ve brought back great insights on our paper, and the satisfaction of both some inspiring discussions and having made some new friends — btw, the conference version of our paper is already publically available, but we’re working on a revised one for publication. As me and Hugo have discussed while we were there, this is a community with a real passion for what they do. That’s something I can really relate to, and which I have, sadly, only found in very few places. I’m really looking forward to be there next year! OOSPLA was also a great experience, but in a different way. It’s a much bigger conference, of course, so it’s harder to find the right people (which, is apparently a contradiction, as it could imply a higher probability of finding interesting people, but I digress… ). So the ones I ended up exchanging more ideas with were the other student volunteers. A great bunch, I must say! As to the conference activities, I particularly enjoyed the tutorials; I went to The Art of Telling Your Design Story, by Rebecca Wirfs-Brock and to Introducing New Ideas into Your Organization and Project Retrospectives, by Linda Rising and Mary Lynn Manns. I had to miss some promising conference events due to my SV duties, but student volunteering in a good experience nonetheless, and I’m glad to have been part of it — I’ll definitely try to apply as a SV again if I manage to go to OOPSLA 2009 (which will be help in Orlando, Florida). Bought myself an Eee PC 901 yesterday. 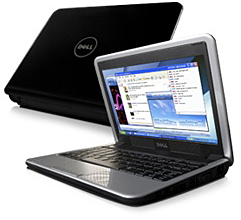 Buying a netbook is something I have been considering for a while now. I found that getting a real laptop would be too much of a burden (on my pocket on the short-run, and on my back on the long-run), but I can find real usefulness on these “new” ultra-light, long-lasting battery, network-centric “toys”. My N95 has been doing it’s part mobility-wise, but my expectations have been changing over time. The N95’s browser behaves quite nicely, but it’s still very limited (given the memory limitations it’s wise to keep only one page open at a time, and the rendering speed is usually slower than what I would find reasonable), and sometimes buggy (not in the rendering itself, but occasional crashes do happen). I was interested on the Dell Inspiration Mini 9 for a while, but a few things diverted my attention to the 901, starting by a second look at it’s specs, finding out about Ubuntu Eee — an Ubuntu-based distribution that is fine tuned for the Eee models –, and finding out about the eee-control utility, which solves a number of Eee bugs that usually come up if not using the variant of Xandros that comes bundled with the machine. This utility helps to switch hardware on and off, configure hotkeys, switch between performance levels and better control over the fan, among other niceties. But I can’t really evaluate this Ubuntu Eee + eee-control setup yet, as I haven’t found the time to fully install and configure the system to my liking (and probably won’t in the next weeks). So the plan for now is to wait for Ubuntu 8.10, which is due on the beginning of the next month. But while I’m talking about this, I must add that I have nothing against the Eee’s version of Xandros — it seems to work very well — but it does try hard to hide complexity, which is fine for the regular user, but makes me feel like being in a sandbox, with only a handful of tools. I think Ubuntu strikes a nice trade-off in this regard. Of course, Rui Carmo‘s insights have been very useful. I’m a little more confident I’ll be able to stay away from Windows though (I would really like to avoid that — I can’t say for sure for how long, but it has surely been more than a year since I’d regularly boot into Windows at home), but only time will tell. Windows is still an option, if I can’t have an equally good experience on Linux, except for the slightly lower battery, which I believe to be one of those things which won’t get any better on the foreseeable future for Linux on the laptop. I could really use one of these new toys everyone is calling netbooks. I’ve been looking at some options, and I’m quite liking the new Dell Inspiration Mini 9. One big plus for me is that it’s available on a Ubuntu flavor, in which I will be much more comfortable, comparing with the Xandros distribution that comes with the Eee PC, or the Linpus that comes with the One. I admit the battery life could be a little better, but it’s reasonable, given the size and weight of the thing (and the price tag, of course). I’m not finding a store in Portugal that sells the Mini 9, nor one that may ship them here (anyone knows of such a place?). I could risk buying one online, if I could somehow get a portuguese keyboard layout too. Esta uma pergunta que me ponho recorrentemente. Há uma regra, mas como em qualquer regra gramatical, também há excepções, e são estas que me costumam deixar em dúvida. Eis duas referências que explicam as excepções convenientemente:  . Acabo de promover a beta o Page2Docbook; o plugin para o Trac que referi recentemente. Uma questão que coloquei a mim próprio quando iniciei este blog foi em que idioma escrever. No entanto, há algumas escritas da investigação de doutoramento que gostava de partilhar com mais pessoas, o que torna o inglês uma alternativa mais interessante. Agora, põe-se a questão, como é que se faz a transição de um blog que tem estado consistentemente em português (fora uma excepção recente), para um que passa a ser escrito em inglês? vai ficar aqui uma mistura de línguas que não me agrada nada. Criar um segundo blog noutro endereço também não me agrada, porque desdobro a minha identidade em dois URLs. Faz mais de um ano que andei em busca de uma boa forma de produzir documentos e, não tendo encontrado uma solução perfeita, resolvi reduzir o âmbito do tipo de documentos em causa e concentrar-me na produção dos documentos que tipicamente aparecem durante o processo de desenho e desenvolvimento de software. A ideia foi simples; partir das funcionalidades de wiki do trac e adicionar a capacidade de exportar cada página como docbook. A partir de uma exportação para docbook, há uma série de opções que se abrem em termos de conversões para outros formatos. Esta última é a mais completa, e com a qual as minhas experiências funcionaram melhor.